My hope for the New Year is that winemakers turn down the "volume" so we wine drinkers can savor the music. It is clear that current popular taste embraces the ultra-intense style of wine--both white and red. Alcohol levels in these wines often soar to 15+ percent--and acid levels drop--as winemakers leave grapes on the vine to achieve ever more ripeness. What is less clear to many consumers is that there is a downside to making wines is this massive-but-soft style--regardless of its present popularity. Winemakers today insist that they must keep grapes on the vines and wait to harvest until the tannins achieve ripeness--so called “physiologic” ripeness. If the grapes are not physiologically ripe, they say, the tannins are green and astringent. 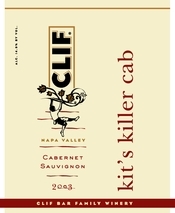 That argument is plausible--although not necessarily accurate--for red wines, but it doesn’t explain how winemakers around the world in the mid-80s managed to make marvelous California Cabernets, satisfying red Bordeaux, or distinctive, but not overpowering Coonawarra Cabernet (such as Wynns’ “Black Label”), all of which weighed in at about 13.0% alcohol. And ripe tannins can hardly be an issue of consequence in white wines. The problem with keeping grapes on the vines waiting for tannins to “ripen,” is that sugar levels continue to rise and acid levels fall. The high sugar levels are what ultimately lead to high alcohol as the yeast convert the sugar to alcohol during fermentation. And as if long “hang time” isn’t enough, wineries around California are adding coloring, such as Mega Purple®, made by concentrating only the pigment portion of the skins of deeply pigmented grapes to the wine because, according to many winemakers, consumers believe that darker wines must be better. “The practice is widespread,” according to Dan Berger, a well-respected California-based wine writer who follows California wines and the industry closely. To be fair, there is nothing new with trying to get the color of a red wine correct. In the past--and to a lesser extent today--the Bordelais included a little Malbec in the blend, taking advantage of its dense color, to achieve a similar result. But somehow adjusting the blend by using wine seems more reasonable than adding a few drops of pigment. So what’s pushing this fashion? Some of the blame--but certainly not all--goes to influential critics whose tastes run to big boisterous wines. Winemakers who want 90+ point scores will make wines to fit that mold. Some blame goes to consulting winemakers whose mantra is “wait, wait, wait” before harvesting the grapes. Again, all that “gobs of fruit” pouring from the glass will get a critic’s attention. 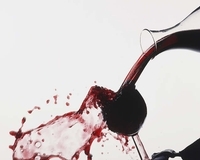 Americans’ relative inexperience with wine plays a role. Unlike Europeans, we’ve never had a wine drinking culture in the US. Ours has been an alcohol culture, to be sure, but it’s been only since the 1970s that we’ve started to be a wine-drinking nation. And even now, much of the wine we consume is drunk as a before dinner cocktail without food--as in “I’ll have a glass of Chardonnay.” Wine producers, especially the large ones, know this pattern and make wine to fit the consumers’ desires. Wine in that manner needs low acid and a big punch--just the reverse of wine that is consumed with food. Wines like bracing, high acid Bourgogne Blancs that go so well with grilled fish can be pretty brutal when sipped on an empty stomach. But a round and plush New World Chardonnay fits the bill nicely. This stylistic trend may have started in the New World, but European wines are morphing year by year into bigger, bolder bottlings. All one needs to do to confirm this trend is taste the new fashionable wines from St. Emilion or the super cuvées coming out of the Rhône and Languedoc. Some winemakers both in California and France defend the current style by saying that we no longer age wines and therefore they need to be approachable sooner. That’s certainly true. Few consumers today are willing to wait twenty years to drink a wine. But is this style of wine drinkable when young? If anything, you want to wait in hopes it will settle down. For me, one of the magical qualities of wine is how the fruit flavors are transformed with age. I know the winemaker started with grapes. But taste a fine wine that’s ten or twenty years old. There’s still fruit--although dried rather than fresh--and where did those flavors of coffee, leather, spice and herbs come from? I’m not speaking of only the grandest wines from Bordeaux or Grand Cru Burgundies--although they can develop brilliantly. In the past few months, I’ve had an Eyrie1988 Pinot Noir, a Robert Mondavi 1985 Cabernet Sauvignon Reserve and a Sterling 1987 Reserve Red Wine from my cellar, all of which had a stated alcohol of about 13%. They had all developed beautifully, delivering a magical combination of fruit and non-fruit flavors balanced by smooth tannins and mouth-watering acidity. Even a Roederer Estate 1994 L’Hermitage--their top sparkling wine--had developed that wonderful combination of biscuity flavors buttressed by vibrant acidity. Last September, at a 20-year vertical tasting of Peter Lehmann’s Stonewell Shiraz from Barossa--not a place known for delicate wines--two things were readily apparent. Over two decades the alcohol levels had risen by a whopping 16 percent--from a stated alcohol of 12.5% in the older ones to 14.5% in the more recent wines. The 1989 (12.5% alcohol), which garnered 9 medals at various Australian competitions and has been considered one of Australia’s great wines, was a magnificent wine. It had power, grace and supple tannins and was the group’s overwhelming favorite. So much for the idea you need protracted hang time and high sugar levels before the grapes achieve phenolic ripeness and you can make great wine. Now I realize I am among a tiny and vanishing minority of people who age wine to enjoy them at ten or twenty years of age. (Most wine is consumed within 24 hours of purchase). But no other beverage offers such a transformation of flavors. It may not be turning lead into gold, but it’s alchemy all the same. Will these 15+% killer cabernets or the “Pinot Syrah” style of Pinot Noir develop the way the 1985 Robert Mondavi Reserve or 1988 Eyrie Vineyards Pinot Noir did? Christian Moueix, one of Bordeaux’s most influential producers, told me a few years back that he thought many of the conspicuously big red Bordeaux from the famously hot 2003 vintage were already falling apart. But who knows. One thing is for sure: if massive wines made for short-term consumption end up cornering the market, wine will have lost one of its truly unique and magical dimensions.